Patient and resident education, and all aspects of primary and preventive care. When not busy practicing medicine, Dr. Soung enjoys running, playing tennis and spending time with his family – including his new niece and nephew. Dr. Michael Soung covered all of my many concerns with patience, allowing enough time to address everything I asked of him. He always gets me in on time and is never rushed with my health care needs and questions. He also got my lab and radiology results to me immediately, and with his notes attached for my understanding. I (thankfully) don´t need to see Dr. Soung very often, but each and every time I´m thankful that he´s my Doc. Dr. Soung is the best general medicine/internist I´ve seen at VM or anywhere. Thoughtful and patient, he makes me a co-manager of my health and is a terrific health educator in the process. Dr. Soung is the best doctor my husband and I have ever had at VM in our over 55 years!! Dr. Soung was able to answer all my questions and concerns. He tends to be conservative in his recommendations informing me of the possible choices and outcomes which I greatly appreciated in his not rushing to refer me for every possible concern. He has searched over-the-counter inexpensive medications during the appointment. *Dr. Soung is the best. *Dr. Suong is always very caring, thorough & clear!!! We highly recommend him. *Dr. Soung is always professional, caring and knowledgeable. Just the right combination for a care provider. He do a good job. Dr Michael Soung is great, takes time to clearly understand any health issues. Easy follow-up using the My Virginia Mason messaging system, very convenient. Dr. Soung was fantastic. I feel fortunate to have him as my Primary Care Physician. Dr. Soung is fantastic. I am honored he is my provider. He is sincere, knowledgeable, friendly and kind. He listens to me without judgement. Because of him I feel more empowered in making my health decisions. He really improved the quality of my life. Exceptional doctor. My family is extremely grateful for Dr. Soung. Thank you doctor and VMC! Dr. Soung is a wonderful doctor. He addressed my needs and listened to my concerns. I have already recommended him to a few of my friends/co-workers. He gave me the kind of doctor patient experience that Virginia Mason strives for; excellence. Thank you. Dr.Soung is personable, knowledgeable and is consistently punctual with my appointments. His assistant are also competent and polite. I walk out of his office with great confidence in my care and advice I´ve received. With physician reputation(s) as being rushed (in general) Dr. Soung took ample time for thorough discussion of my health concerns. He is always eager to discuss treatments & alternatives. Dr. Soung is the best! Dr. Soung is a fantastic doctor to work with! 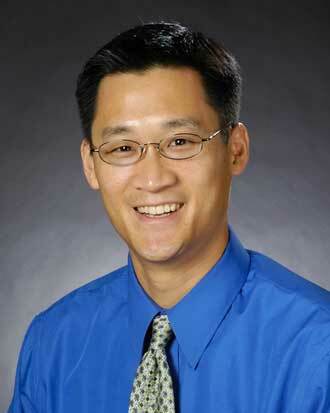 Dr. Seong is a competent and thoughtful and well informed physician. I have great respect of and appreciation for him. I appreciate Dr. Soung clear explanations & collaborative approach. Dr. Soung was simultaneously relaxed and efficient: An impressive combination of virtues. Dr. Soung was friendly clear, very good at explaining things, & addressed my concerns. I have been and continue to be very happy with Dr. Soung. He takes time to address all my concerns and is an excellent doctor. I appreciate his timely response to my messaging and lab reporting. I value his thoroughness and thoughtfulness about his observations and experience. I have known Dr. Soung for 10 years now. I have complete trust in his jugement and knowledge and always appreciate the way he cares for me. I really enjoy Dr. Soung´s "bedside manner". He listens, suggests & advises in a sensible way. Mike was great! Very good communicator. Makes you feel like you are in a partnership where my input is valued. Dr. Soung was friendly, knowledgeable and professional. Although my complaint was relatively minor, an ear wax plug, he treated me with genuine concern. I feel very fortunate in having Dr. Soung as my primary care provider. He´s always concerned and includes me in any decisions that are made. I can´t say enough good things about him. He´s the best! Venus, Dr. Soung, and Tina all very warm and caring. Extremely happy with Dr. Soung. Dr. Soung is by far the best doctor I´ve ever had remembers me, interested in my overall health & wellness. The best! Always takes time to fully listen & understand. He is the BEST doctor extremely respectful and takes time! Great. He is very comfortable to be with and to talk with. Explains everything very well. I feel privileged to have Dr. Soung as a provider. We discussed every issue I brought in with me. I left feeling better educated & in control of my health. Dr. Soung is outstanding in all respects. I felt greatly valued and understood by Dr. Soung, and extremely well cared for. I am confident he had my best interests in mind. Thank you. Dr. Soung is an excellent physician from any patient´s point of view. It is an honor to have Dr. Suong as my PCP; and I hope to be a good patient for him. Dr. Soung and his staff are excellent providers in all aspects from setting up labs and appointments, to in-appointment discussion of issues and treatment options, to setting up of specialty care and additional follow-up. Good to see younger doctors coming up: Soung was not my regular doctor. I thought Dr Soung was excellent. Dr. Soung never seems hurried but is efficient, helpful, and knowledgeable. I´m highly satisfied. I appreciate getting lab test results that _____, with his comments.